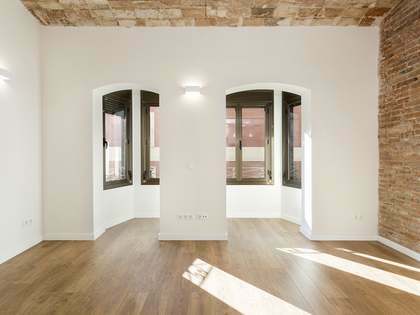 Beautiful 1-bedroom loft apartment with 4-metre high ceilings, for sale next to Avinguda Paral·lel, an ideal pied-à-terre in Barcelona. 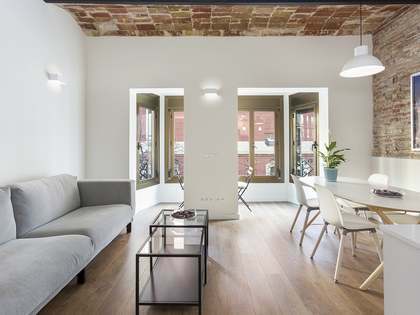 This industrial style loft is on the ground floor of a renovated building next to Avinguda Paral·lel and Ronda Sant Pau. 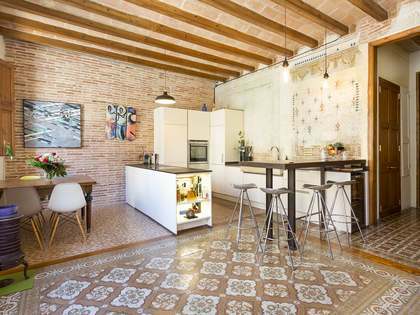 The apartment is brand new, renovated with excellent materials whilst conserving beautiful original features, such as the 4-metre high ceilings and exposed brickwork. There is both private street access to the property and access through the lobby. 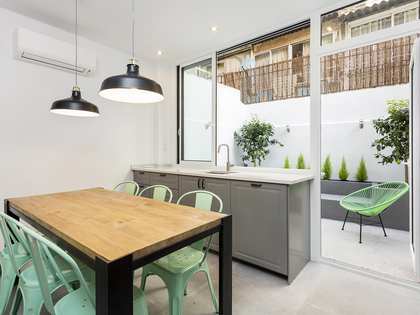 When entering from the street, first we find a large hall with semi-opaque glass doors, which allow natural light to enter whilst at the same time ensuring privacy. The living room is large with an open kitchen semi-equipped with Bosch appliances, and in the interior part of the property there is a double bedroom with a bathroom. The loft has a certificate of occupancy and hot & cold air conditioning for comfort throughout the year. 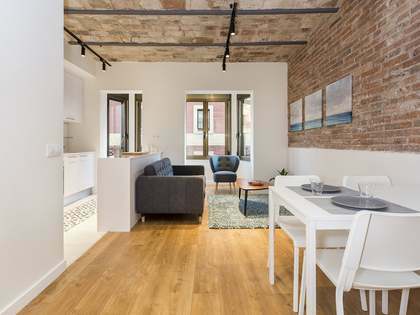 Contact us to visit this loft for sale in Sant Antoni, an ideal pied-à-terre in the centre of Barcelona. 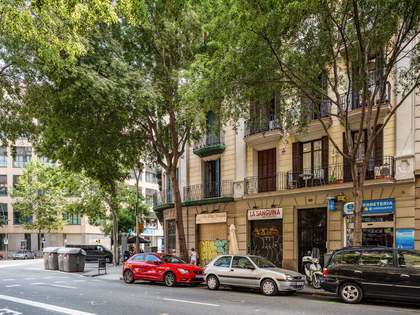 This apartment is located on a very quiet street in Sant Antoni, with little traffic, next to Avinguda Paral·lel and Ronda Sant Pau. It is close to all services and public transport.